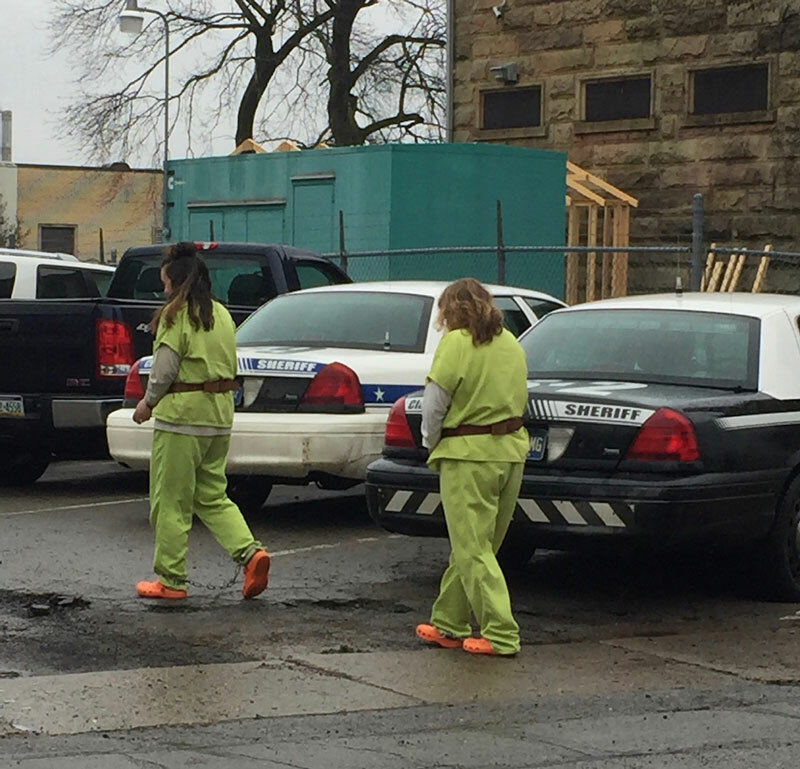 CLARION, Pa. (EYT) – A Clarion man and a Sligo woman were both sentenced to state prison on charges stemming from a meth bust and a break-in in Sligo. On Wednesday, February 6, President Judge James Arner sentenced 35-year-old Jeremy David Carey, of Clarion, and 28-year-old Rebecca Dawn McAninch, of Sligo, to prison terms. Judge Arner sentenced Carey to an aggregate sentence of 3 1/2 years to seven years in state prison. He will receive credit for 238 days served. – 12 to 24 months on one second-degree felony count of criminal trespass-break into structure. He was also ordered to three to six months on one misdemeanor count of knowingly possessing ephedrine to be served concurrent to the other sentences. Carey pleaded guilty to the above charges on four separate cases in Clarion County Court of Common Pleas on Wednesday, January 9. Judge Arner sentenced McAninch to an aggregate sentence of 24 months to 48 months in state prison. She will receive credit for 238 days served. – 12 to 24 months on one felony count of conspiracy to manufacture, deliver, or possess with intent to manufacture or deliver a controlled substance. McAninch pleaded guilty in Clarion County Court of Common Pleas on Wednesday, January 9, to the above charges on two separate cases. 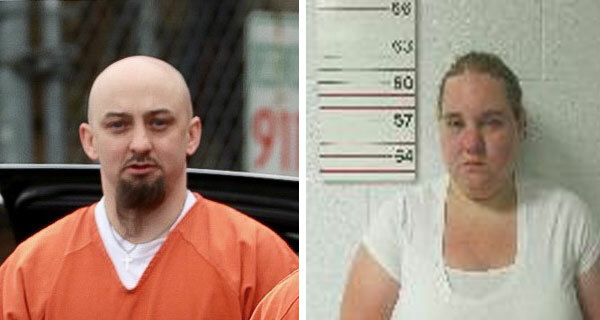 Carey and McAninch both remain lodged in the Clarion County Jail, awaiting transfers to state prison facilities. According to a criminal complaint, a detective from the Clarion County District Attorney’s Office was notified that Roy Leason Anthony had purchased a 3.6 gram 15-count box of Allergy Congestion Relief from Walmart in Monroe Township on Sunday, June 3, at 10:46 a.m.
Allergy-Congestion Relief is a known component commonly used in manufacturing methamphetamine using the “one-pot” method. The detective obtained video footage, pictures, and receipts from June 3 from Walmart. From the video footage, the detective was able to identify Anthony. He was accompanied by Jacob Vasbinder and Jeremy Carey. At 10:53 a.m., Anthony purchased the Allergy Congestion Relief, Vasbinder purchased two two-liter bottles of Dr. Thunder and table salt, and Carey purchased camp fuel, according to the complaint. Once Anthony, Vasbinder, and Carey exited Walmart, Rebecca McAninch then entered the store and purchased a 12-pack of AA Lithium batteries at 11:43 a.m.
Lithium batteries, two-liter bottles, table salt, and camp fuel are also commonly used to manufacture methamphetamine using the “one-pot” method. On June 20, the detective interviewed Vasbinder, Carey, and McAninch at the Clarion County Jail. Vasbinder signed the Miranda rights’ form and told the detective that he picked up McAninch on the night of June 2 from her place of employment. Then, they went back to Anthony’s residence where he, Carey, McAninch, and Anthony spent the night. Vasbinder stated that on the morning of June 3, Carey, McAninch, Anthony, and he all discussed going to Walmart to purchase items to make methamphetamine. Vasbinder said that he drove to Walmart, and Carey delegated what ingredient each person was to purchase. He stated that Carey gave him gas money to drive and also provided the money for him to purchase two-liter bottles of Dr. Thunder and table salt. Anthony purchased the Sudafed, Carey purchased the camp fuel, and McAninch purchased a 12-pack of AA Lithium batteries, according to the complaint. Vasbinder said that the ingredients purchased were used to manufacture methamphetamine. The detective asked Vasbinder where they make methamphetamine, and he responded: “in the woods.” Vasbinder also said that he did not wish to complete a written statement. The detective then met with Carey. According to the complaint, Carey stated that he used the camp fuel to go camping and stated, “Ask New Bethlehem, I was in the woods when they found me.” Carey also allegedly stated that he was “messed up” and could not recall anything he had done. After McAninch signed her Miranda rights’ form, she told the detective that Vasbinder drove Carey, Anthony, and her to Walmart on June 3 to purchase ingredients to manufacture methamphetamine. McAninch advised that she purchased a 12-pack of AA Lithium batteries. She stated that after they purchased the ingredients, Vasbinder drove her to her mother’s residence where she stayed while Vasbinder, Carey, and Anthony went and manufactured the methamphetamine. McAninch allegedly said that after the meth was “cooked,” she was picked back up, and they all went and used the methamphetamine. According to a criminal complaint, on Wednesday, June 6, Sergeant Nicole Peck, of the New Bethlehem Police Department, received information from Officer Clark regarding a burglary that occurred at a known residence in Sligo Borough on Tuesday, June 5, around 10:00 p.m. The homeowners reported that they were standing in their kitchen when they noticed two shorter individuals walk into their back porch area and through two doors entering the house. The individuals then walked directly into their kitchen. The victim reported the second individual was a short male wearing a green camo coat. The victim said he stood behind the female and then walked out of the residence. During the course of the investigation, Sergeant Peck identified the female as Rebecca McAninch and the male as Jeremy Carey. The complaint states that the New Bethlehem Borough Police received multiple tips that placed McAninch and Carey in the area on the night of the incident and the following evenings. Around 10:00 p.m. on June 7, Officers Clark and Arthur located McAninch and Carey near Front Street in Sligo. According to the complaint, the officers identified themselves and gave verbal commands to stop, but McAninch and Carey did not comply and fled the area on foot. According to the complaint, Carey was apprehended walking along State Route 68 by Clarion PSP around 11:00 a.m. on Friday, June 8. He was lodged in the Clarion County Jail on outstanding warrants. McAninch was taken into custody in Rimersburg Borough by New Bethlehem Borough Police around 2:00 a.m. on Saturday, June 9, and was lodged in the Clarion County Jail for a probation violation. McAninch and Carey were arraigned at 2:00 p.m. on Wednesday, June 13, in Magisterial District Judge Jeffrey C. Miller’s office. According to a criminal complaint filed at Judge Schill’s office, Deputy Warden Sprankle contacted Clarion County Chief Detective William V. Peck, IV, on Monday, September 3, to advise him of a physical assault involving two inmates. Deputy Warden Sprankle reported that inmate Jeremy Carey had been assaulting another inmate over an extended period of time, resulting in serious bruising. According to the complaint, Chief Detective Peck spoke with the victim on September 6 at the jail. The victim reported that Carey hit him multiple times on the arms. Chief Detective Peck viewed the victim’s arms and observed “severe deep bruises” in the bicep area. According to the complaint, the victim went on to say that on the evening of Saturday, September 1, Carey told him that he needed his breakfast tray in the morning or he was going to “hurt him” and “blast him in the face.” The victim said that he felt threatened by Carey and complied the next morning. The victim said that another inmate reported the situation on Sunday, September 2, and the jail began an internal investigation. At this point, Carey was removed from the cellblock and placed on lockdown. Chief Detective Peck also interviewed three other inmates who were witnesses to the assaults, one of which was also a victim of an alleged assault at the hands of Carey. According to the complaint, the first witness told Chief Detective Peck that he saw Carey punch the victim on the arms several times. The witness also said that on Saturday, September 1, he overheard Carey tell the victim, “You may as well give me your breakfast tray in the morning or I’m gonna hit ya.” He also observed Carey taking the victim’s breakfast tray the next morning. The witness stated that he and another inmate shared their meals with the victim that morning, so he would have something to eat, and went on to say that Carey had recently made similar threats to him. Carey allegedly demanded his food and said he would beat him up or kill him if he didn’t comply. The witness stated that Carey has never hit him, but he saw Carey strike the victim and a second victim in the mouth two weeks earlier. The second witness told Chief Detective Peck that he saw the victim being assaulted by Carey on three or four occasions. He also stated that he heard Carey tell the victim if he did not give up his breakfast tray in the morning, he was going to beat him up. According to the complaint, the second witness said that he was tired of seeing the victim being assaulted and reported the incident to a guard. The third witness said he had seen Carey assault the victim at least three times and noted that he also saw Carey take the victim’s food tray. Additionally, he told Chief Detective Peck that he had also been assaulted by Carey. According to the complaint, the third witness stated that he was talking to another inmate in late August when Carey told him to shut up. He said that when he didn’t stop talking, Carey punched him in the mouth, causing a cut inside his lip. Chief Detective Peck attempted to interview Carey; however, Carey declined to be interviewed without an attorney present. According to court records, on Friday, October 26, Clarion-based State Police filed criminal charges against 34-year-old Jeremy David Carey, of Clarion – currently incarcerated in the Clarion County Jail on unrelated charges. Carey faces a third-degree felony charge of Verify Address or Photographed as Required. The offense date is listed as June 7, 2018. According to the Megan’s Law website, Carey was convicted of attempted criminal sexual conduct third degree on January 5, 2004. His registration began on September 16, 2005.